Zhang Peidun was born in Wu County (today's Jiangsu province), learnt painting from Zhai Dakun, was good at connoisseurship, calligraphy and painting. 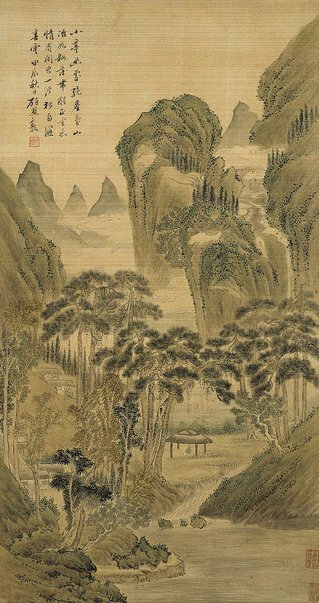 Zhang Peidun's painting was influenced by Shen zhou and Chen Daofu, his calligraphy style followed that of Wen Zhengming. Signed and dated., u.l.corner., in Chinese, inscribed in black ink "…in the autumn of the Jiachen (1844), Yanqiao, Dun." Signed, u.l.corner, in Chinese, stamped in red ink, "Yanqiao [artist's seal]".